This week kicked off my first week of class at Code Louisville. Excitement is in the air at this stage. Everyone is ready to get started and you can feel the anticipation in the room. Some are looking to develop additional skills for their current position and many, like me, are hoping to use the training and knowledge gained to start a new career as a junior developer. Brian Luerman, Code Louisville Project Coordinator, introduced our class mentors, Scott Corgan and Mitchell Starkey. Both are experienced programmers that are currently working in the industry. I was impressed with them both. This is their first time mentoring for a Code Louisville class, although you certainly would have never guessed that. They were both enthusiastic, supportive and helpful. They’re exactly what you would want in a coding mentor. Both are volunteering their time, as all mentors do. Hats off to them, and all the volunteer mentors, for donating their time and talents to a class full of coding rookies! After the usual introductions, our weekly courses and class project were discussed. In addition to an individual project, we will also be building a website as a group in class. This week, the Front End Web Development track courses on Treehouse are Console Foundations and HTML Forms. Both of the online courses need to be completed by Sunday. One of the requirements for successful Code Louisville completion is to attend at least two networking events. Available area events are listed at Louisville.io. I attended my first event, Work at Warp Zone Wednesday. Warp Zone is Louisville’s first, and only, co-working space for game developers. Each Wednesday they open their space for anyone that would like to get out of their house or office and come work downtown. They have plenty of space, high-speed Wi-Fi, and a welcoming and helpful atmosphere. They even have assorted computer monitors that you can plug your laptop into if you prefer a larger screen for your work. Alex Bezuska gave me the grand tour and was nice enough to let me pick his brain about the coding industry. If you get a chance, I highly recommend checking out Warp Zone. We have twenty students starting class at the Jeffersonville location. 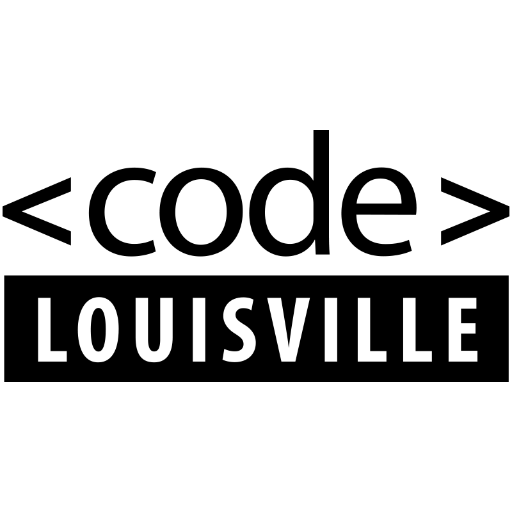 Of course, there are many others taking the same class at the Code Louisville headquarters in downtown Louisville each night Monday through Thursday. They don’t hold classes on Fridays. All the classes are evening classes and regardless of location meet at 6:00 p.m. Class communications are on Slack. Coding is completed using a text editor. While you can use the text editor built into Treehouse, our mentors encouraged us to select a text editor that we would use in an actual work position. Atom and Sublime Text seemed to be the top two choices in our class with Sublime Text seeming to have the most advocates. Once class officially ended, our mentors stayed after and helped anyone that wanted help setting up their text editors and other tools. The week of online course work on Treehouse.com went well. I did learn that it takes me a lot longer than Treehouse says it will to complete each class. Between taking notes, typing up the code, trying to get it to work correctly, and then successfully passing the coding challenges, it took me two to three times longer than Treehouse suggests it will. If your code doesn’t work it is just as likely to be an error somewhere before the line you are working on at that moment. This week was extra challenging for a couple of reasons. First, I essentially had to learn how to use Sublime Text. I spent a huge amount of time watching YouTube videos on Sublime Text just to learn how to use the tool I need to write the code. I mean how the heck do you view your finished code in the browser after you type it up in Sublime Text? At least that shouldn’t be as much of an issue next week. I also had to figure out how to take notes on the material. These are not normal notes. These are blocks of code and links to online references. I reached out to some of my cohorts on Slack. Evernote was a good suggestion. I’ve used Evernote for years. So then how do you copy the text out of Sublime and into Evernote and keep all the code formatting. I found a highlighter package for Sublime that allows me to copy to the clipboard in RTF format. It then pastes nicely right into Evernote. But this all took time for trial and error. I tried lots of online suggestions and packages for Sublime that I just couldn’t get to work. The point is that sometimes just getting started is the hardest part of any new endeavor. I feel like I made it over the first hurdle. I’m sure there will be many more to come, but you know what? I’m having fun! I love solving problems and overcoming challenges. As frustrating as it might be at the moment, the feeling of victory when I do accomplish something difficult makes me ecstatic. I think I’m really going to enjoy this coding thing! That’s it for week one. More to come next week!